Looking for the Windows Server 2003 version of this tutorial? Click here. 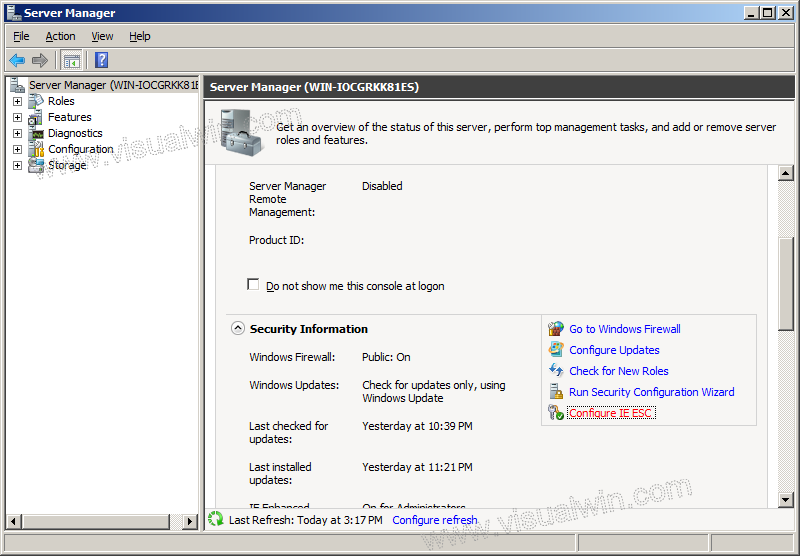 Windows Server 2003 and, subsequently, Windows Server 2008 shipped with security locked down by default. Part of this locking down is Internet Explorer Enhanced Security, which is an extra layer of protection when surfing the internet using Internet Explorer (more information can be found by going here on a Windows Server 2008 [test] machine). Some people want to diable it. That's OK, Microsoft allows that, and that's what this tutorial will show you how to do. As we will soon see, we have the option to disable the Enhanced Security Configuration (ESC) for Administrators, Users, or both. 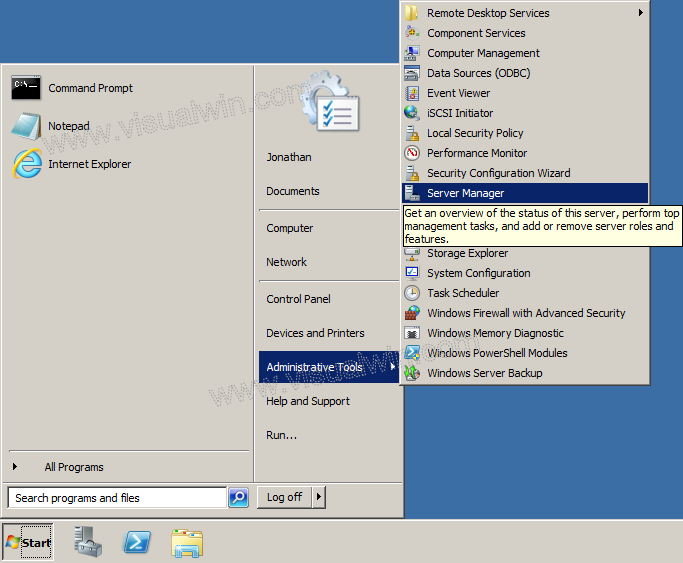 In this tutorial, we will be disabling it for both types of user. The Internet Explorer Enhanced Security Configuration will open, allowing you to choose whether to have it enabled for Administrator and/or User groups. Because in this tutorial we are disabling the configuration for all users, we set both radio buttons to "Off", and press "OK". And that's all! 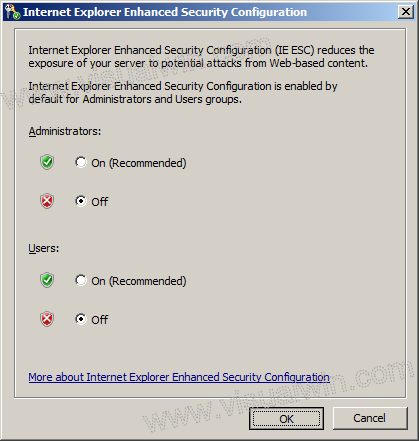 From the next time Internet Explorer is loaded, IE ESC will not be enabled. Q: How do I know if it is enabled? Q: How do I know if it's disabled?